COUNT-UP을 하면 SUPER DARTS 2013챔피온이 사인한 다트 세트를 드립니다! 상위10명에게 혜택 부여. 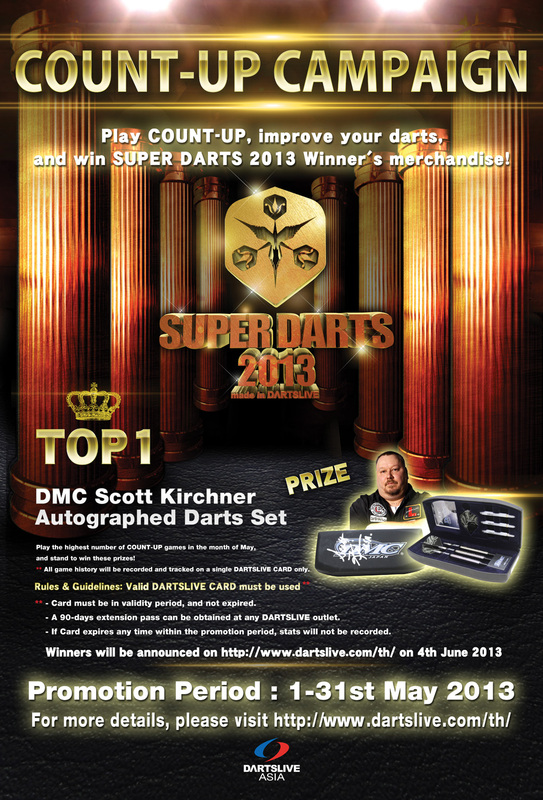 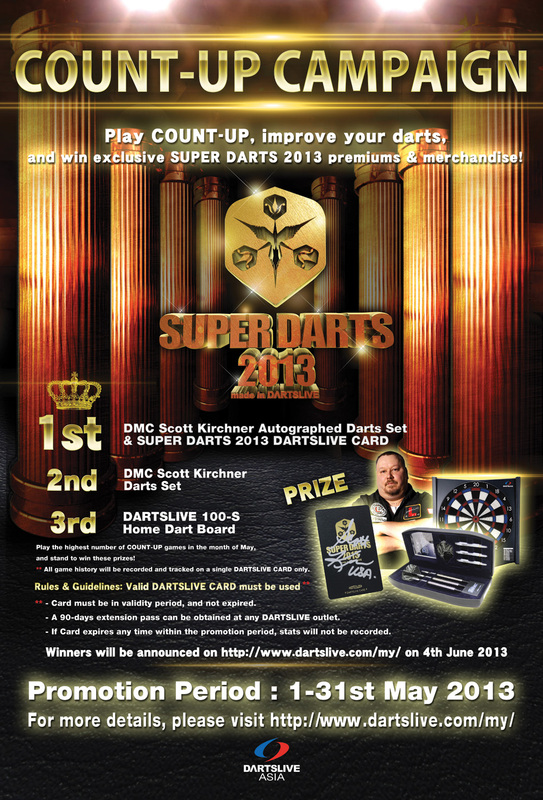 Play COUNT-UP, improve your darts, and win SUPER DARTS 2013 Winner's merchandise! 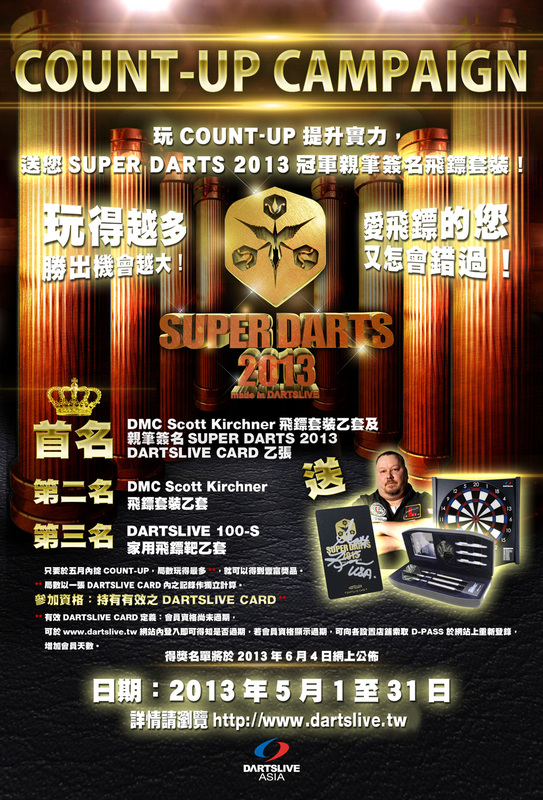 COUNT-UP을 플레이 하여 실력을 높이고 SUPER DARTS 2013챔피온이 사인한 다트 세트를 받자!